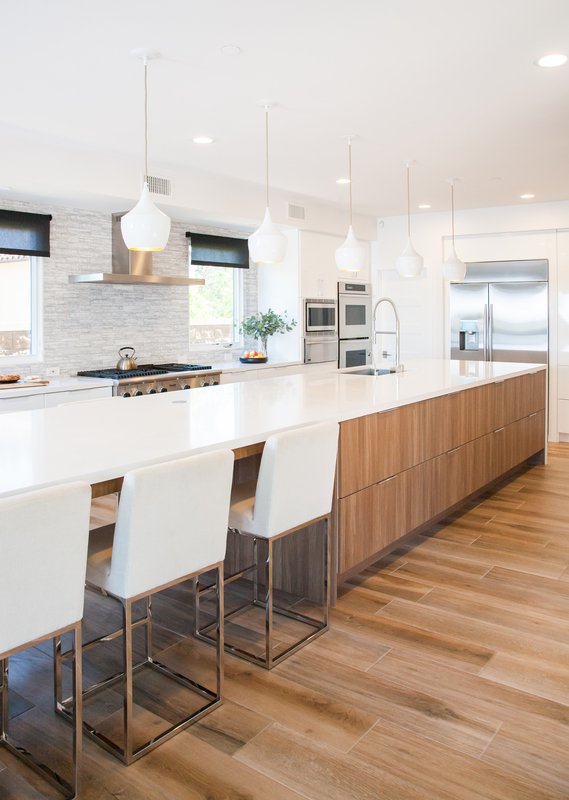 Claire Cannesson of CC Interior Design took us on a virtual tour of this light and bright Irvine home she re-designed for a family of four. The original space had a dated, dark, and traditional style. 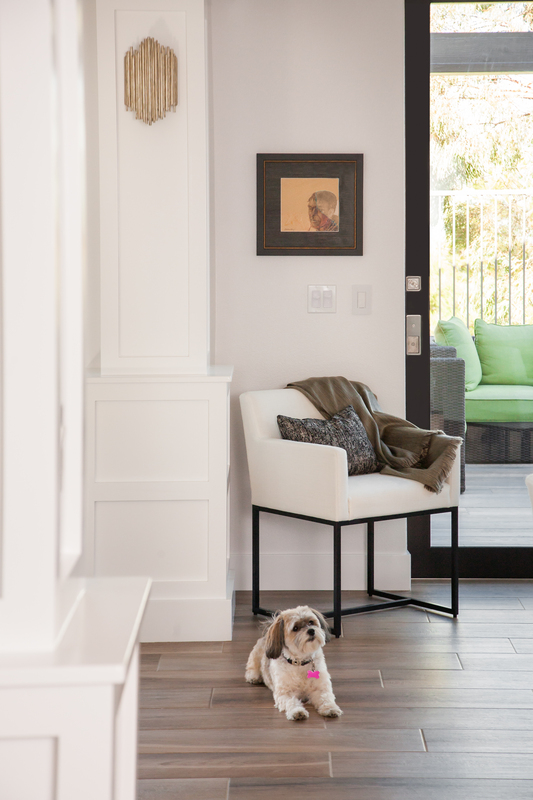 With a modern take on European flair, Claire successfully transformed the first floor of this home into an enviable Californian oasis. “The style of the ‘new’ interiors is definitely contemporary with clean lines, but the earthy materials – limestone, wood, linen – give a warm feel to the space. 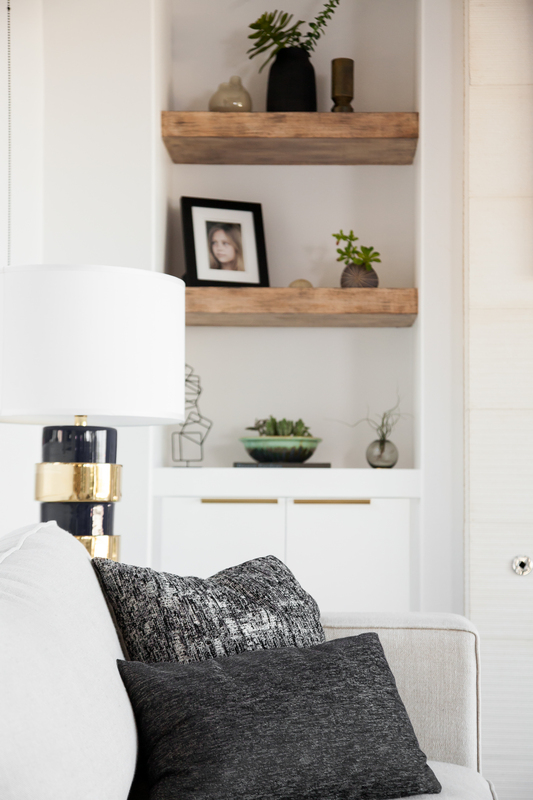 The color scheme is pretty neutral with black and brass accents for contrast and sparkle – shades, lighting fixtures, hardware… I wanted to create both a chic but easy to live home with a touch of glam and drama,” said Claire. 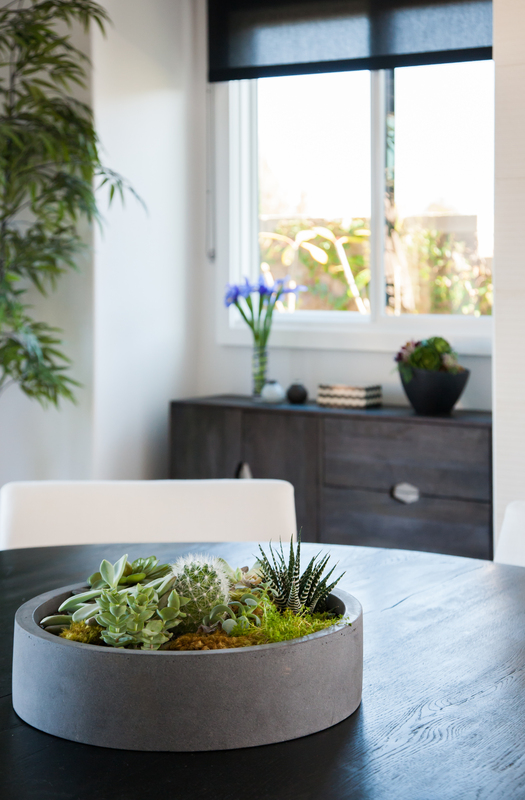 Claire took what used to be the dining room, and turned it into the home’s main living space. 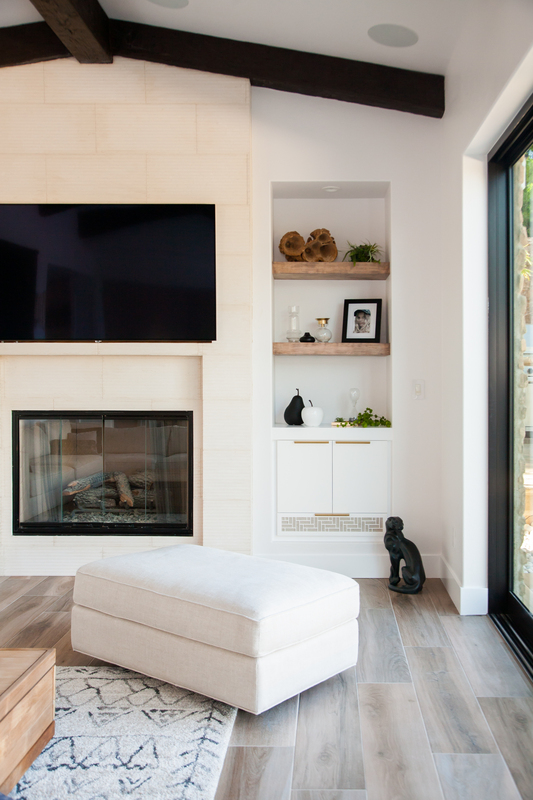 The wall between the dining room and living room was also removed to create a large open space and bring in even more light. The structural bones were otherwise solid, allowing Claire to draw attention to the beautiful architecture. 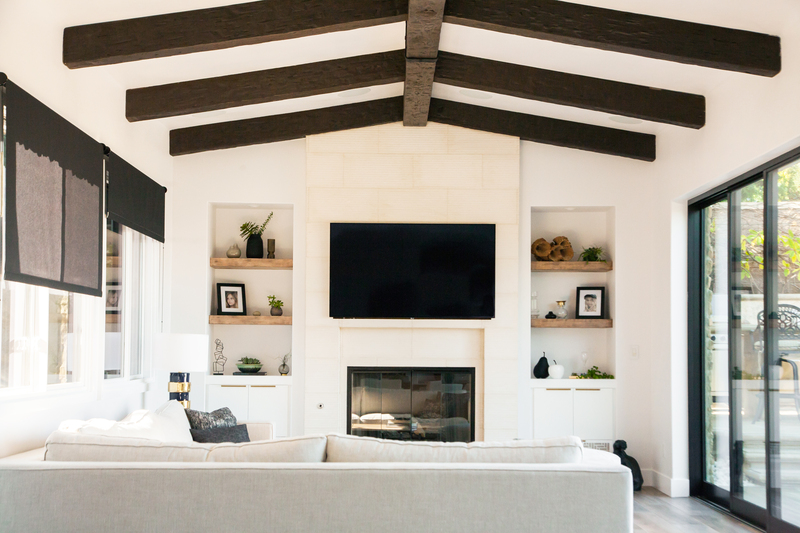 She painted the walls and ceilings white, allowing the dark, exposed beams to become a focal point in the room. By re-furbishing the built-in alcoves, Claire created spaces for the family to showcase personal décor, adding a rustic touch to the room. For furniture and décor, Claire kept everything neutral and light. 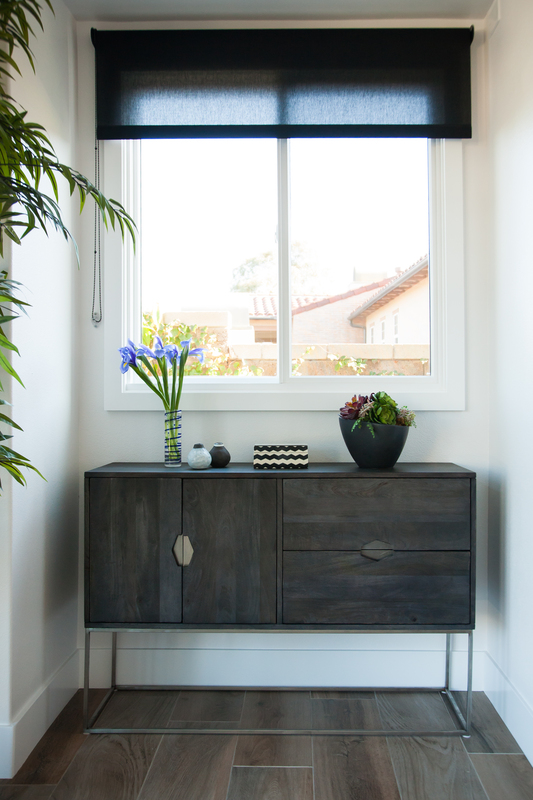 To add a contemporary contrast, she selected our Roller Shades in Thompson Black. 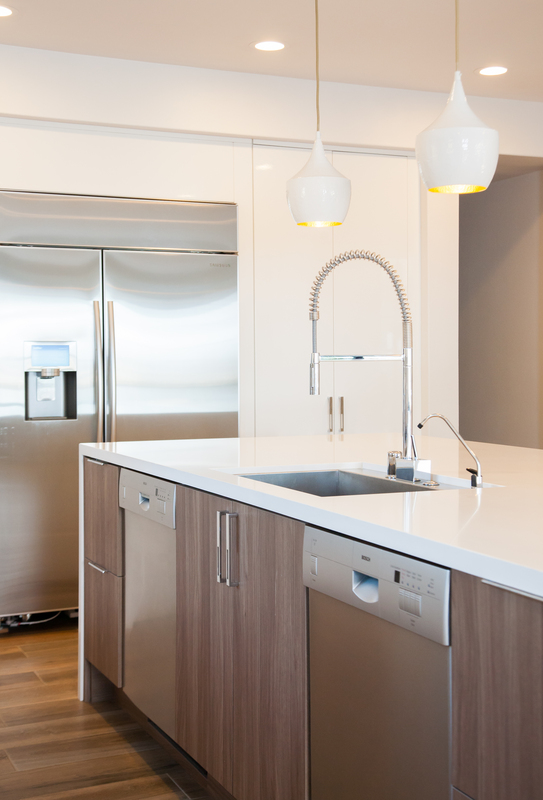 The state-of-the-art kitchen is absolutely stunning. 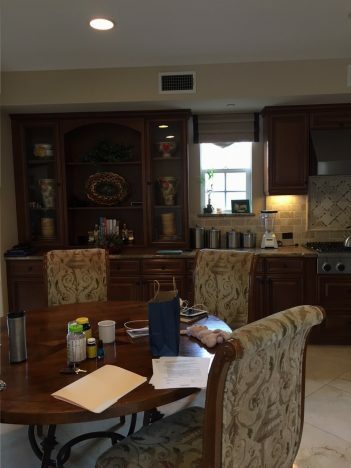 Complete with a full breakfast bar, stainless steel appliances, this room is what dreams are made of! 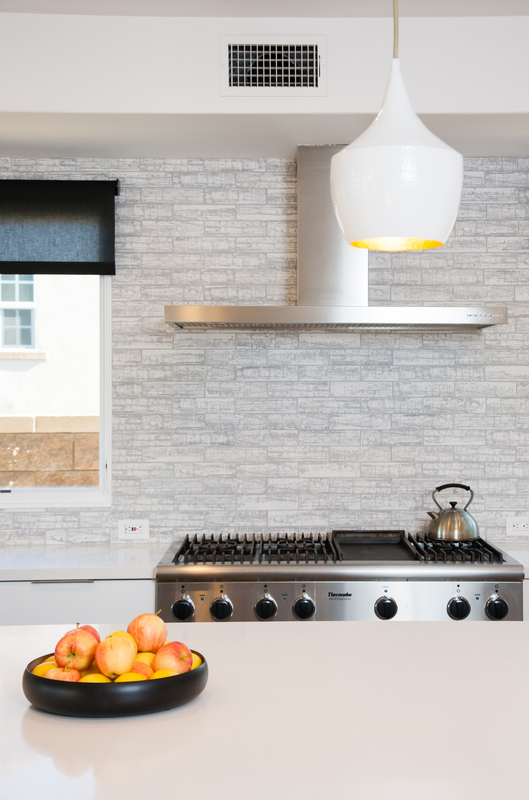 Claire used our Light Filtering Roller Shades again in the kitchen, allowing her clients to enjoy the natural light, while also maintaining some privacy. 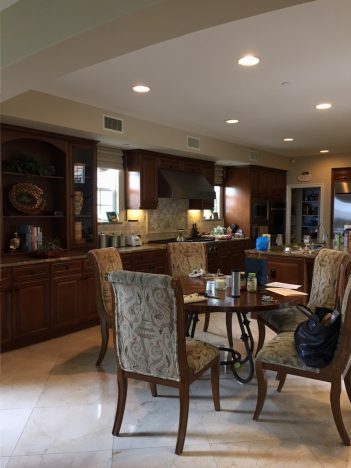 Claire converted an open space off of the kitchen into the new dining area. 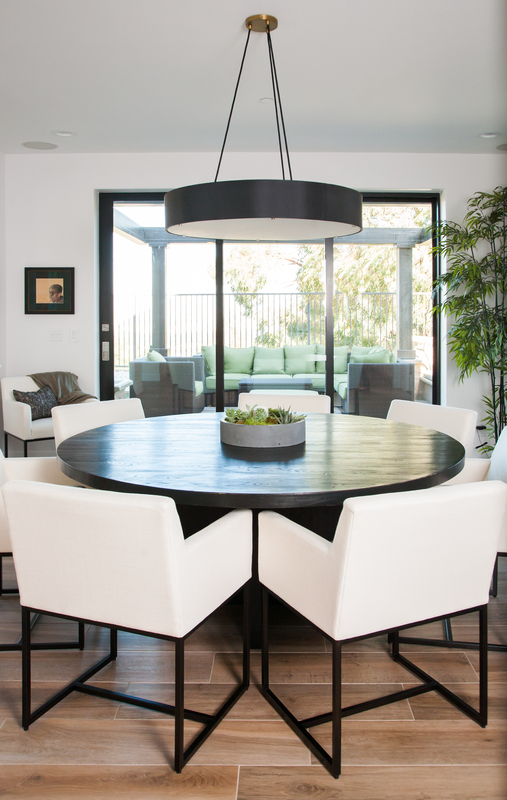 She chose a large, round table to accommodate plenty of seating for the family of four. 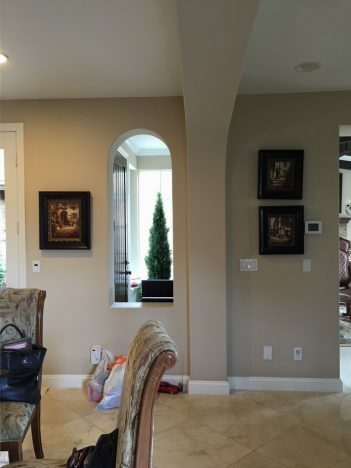 Claire paid close attention to detail in this project, which is shown through the carefully curated small spaces. 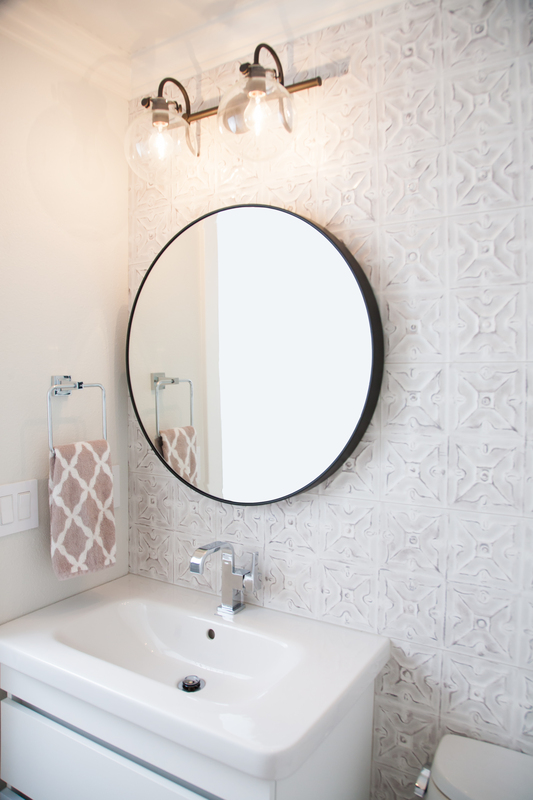 The home office, powder room, and small nooks were all designed to perfection. Claire was born and raised in Paris, France and grew up in an artistic home with frequent visits to art exhibits and cultural events throughout Europe. Art, culture and design made a serious impression on Claire from a very young age. After graduating from a top French Business School, which led to various marketing and communication positions, she worked for an architecture and landscaping firm in Lyon, France. 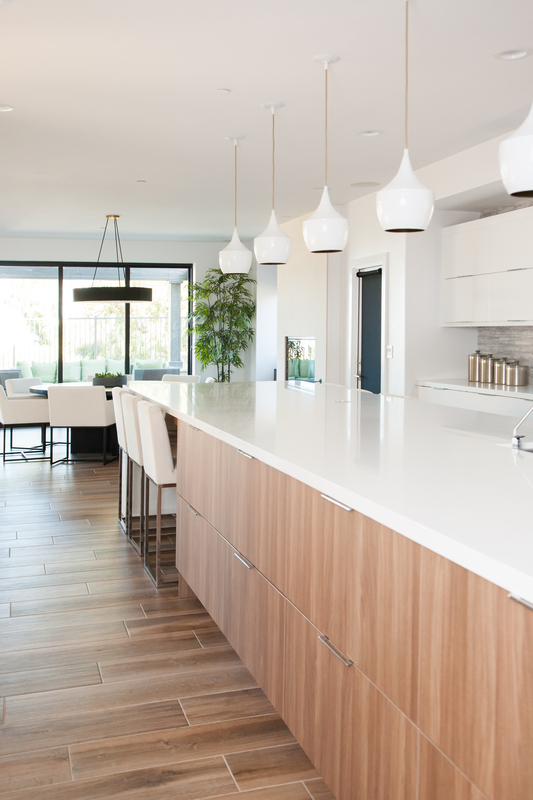 This experience strengthened her passion for green, efficient, beautiful design and interiors. 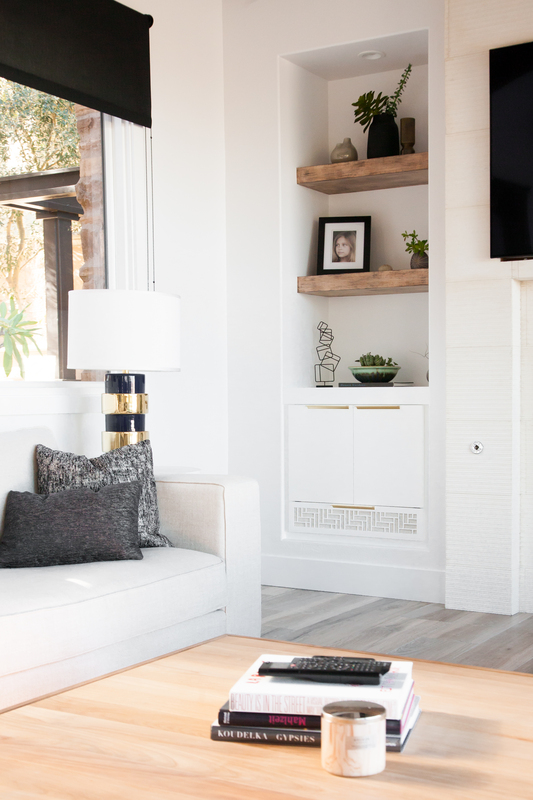 Claire moved to Southern California in 2009, where she now resides, and began to pursue design in a formal fashion and started her own studio: CC interior design. Influenced by European and American culture, by her previous work experiences in marketing and architecture, and by the many places where she has lived – Paris, Lyon, Montreal, Pittsburg, Orange County and Los Angeles – Claire brings many wonderful influences to embrace each new project from concept to completion in a beautifully creative, personalized and elegant manner. 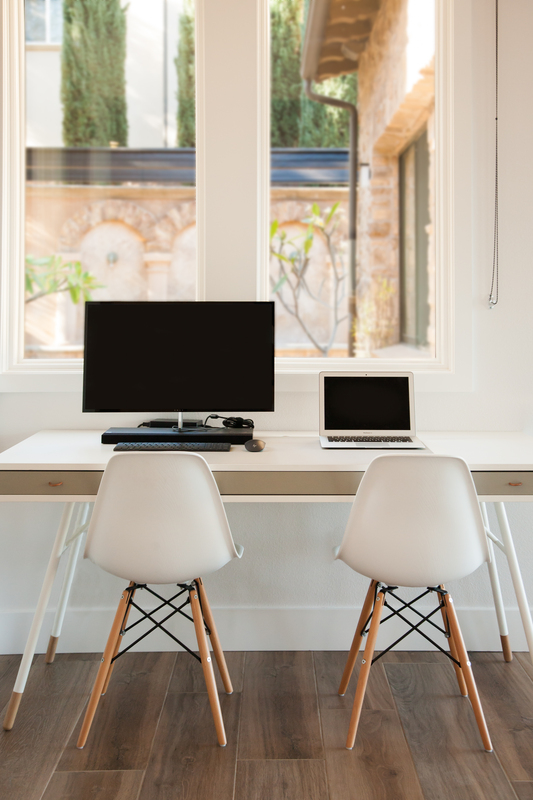 Her business acumen and design talent are a remarkable combination for supporting her clients. 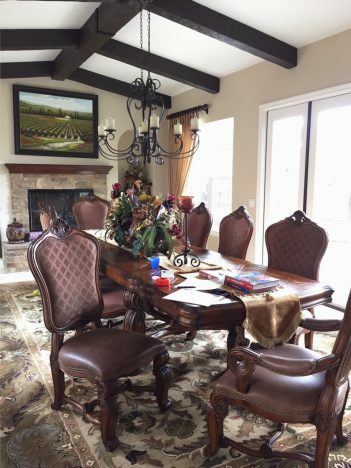 Claire earned a MSc in Marketing Management from EDHEC Business School, France and has successfully completed the Interior Design Professional Certificate Program from Saddleback College in Mission Viejo. She is a member of the American Society of Interior Designers. 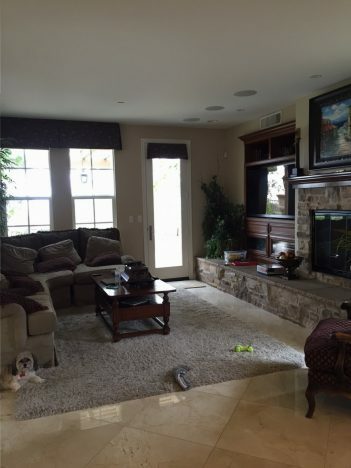 View more projects from CC Interiors here. 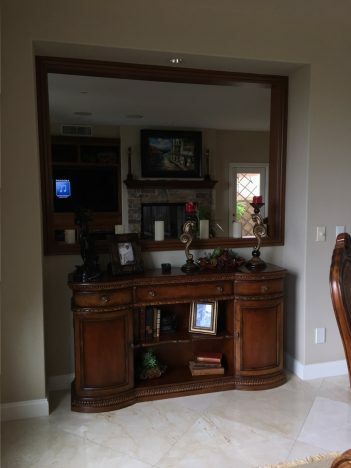 Ready to re-design your home? Get started on the custom window treatment process with one of our expert Design Consultants. Visit one of our 55+ nationwide showrooms, give us a call, or email us at design@theshadestore.com.